One dose. 30 days of protection! 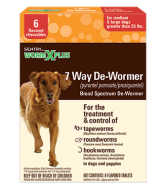 SENTRY HC WORM X PLUS 7 Way De-Wormer for Medium & Large Dogs treats and controls seven species of worms: two tapeworms (Dipylidium caninum and Taenia pisiformis), two roundworms (Toxocara canis and Toxascaris leonina) and three hookworms (Ancylostoma caninum, Ancylostoma braziliense and Uncinaria stenocephala). 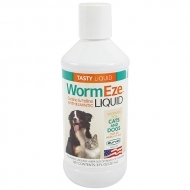 It contains two active ingredients found in veterinary brands: pyrantel pamoate and praziquantel. 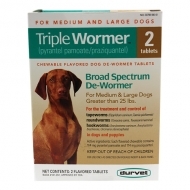 This broad spectrum de-wormer comes in chewable tablets, making it easy and convenient to give to your dog. Intended for medium and large dogs weighing more than 25 lbs. 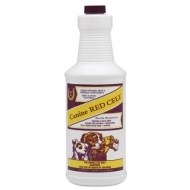 Canine Red Cell is an easy-to-give liquid source of iron, vitamins, and minerals for hard-working dogs or dogs that could benefit from a nutritional boost. This formula was made to meet the rigorous demands of hunting and field dogs, racing greyhounds, and show-circuit dogs. 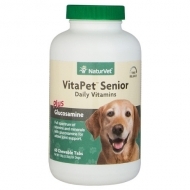 It also provides a nutritional boost for old or debilitated dogs, and puppies. Beef and liver flavored liquid is easily accepted. Rich in the highest quality Omega 3 and 6 fatty acids and vitamins. 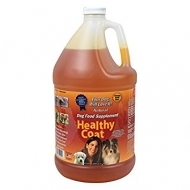 Designed to support the canine athlete’s overall health and function of their muscular system. 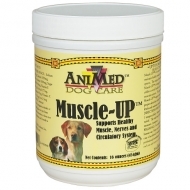 AniMed’s Muscle-UP™ is for use in dogs to support and maintain healthy muscles, nerves and circulatory system. 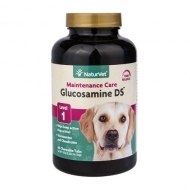 Cosequin DS Maximum Strength Plus MSM and Boswellia comes in a 60 ct tasty soft chew and contains FCHG49® Glucosamine Hydrochloride†, TRH122® Sodium Chondroitin Sulfate†, Boswellia, and MSM (Methylsulfonylmethane).This combination of ingredients helps to protect your dog's joints while supporting healthy joint function and mobility. Duraflex™ Soft Chews is a highly palatable joint health supplement for dogs. 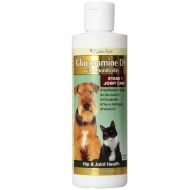 Designed for vigorous, healthy joints and enhanced mobility in dogs. 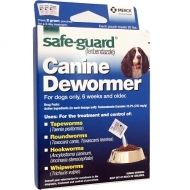 Safe-Guard Dewormer for dogs and puppies over 6 weeks of age. 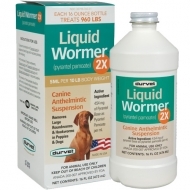 D-Worm™ Combo is a broad spectrum canine de-wormer. 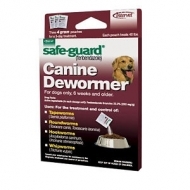 Safe for puppies over 12 weeks old and adult dogs. Fast acting and does not require fasting. Kills 7 strains of worms. Aspirflex gel is indicated for use in dogs for temporary relief of arthritis pain, or inflammation. Aspirflex has anti-inflammatory, antipyretic (fever reducing) and analgesic (pain reducing) properties. Soybean Oil, Corn Starch, Sucrose, Silicon Dioxide, SorbitanMonostearate, Dried Enterococcus Faecium Fermentation Product, Dried Lactobacillus Acidophilus Fermentation Product, Dried Lactobacillus Casei Fermentation Product, Dried Lactobacillus Plantarum Fermentation Product, Sodium Silico Aluminate and Mixed Tocopherols (preservative). This is the one that started it all. Mange Medicine is a pure vegetable, cod liver oil and lanolin base treatment that brings soothing relief to skin irritations, fungi, falling hair, itching eczema, hot spots, moist feet and ears, ear mites, pus pimples and severe mange. Guaranteed or your money back, it works on stubborn cases where other products have failed. 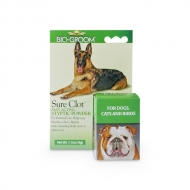 This product is also effective against a broad spectrum of skin conditions completely unrelated to mange. 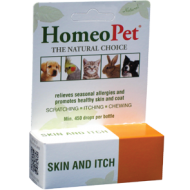 Our Mange Medicine is the closest thing to a cure-all for skin diseases that we offer. Pad Kote is also a terrific healing aid for all types of wounds, including fungal and bacterial infections of the feet, ears and elsewhere. Try Pad Kote on cuts, abrasions, sores, burns, tender ears and hot spots (moist dermatitis). Promotes skin cell granulation and epithelial growth. No matter what else has failed, we urge you to try Pad Kote.